Home / Bangalore Trekking Club / BTC / BTC Adventure Club / BTC Bikers Club / BTC Boys vs Girls / BTC Cycling Club / BTC Go Green / BTC MoterCycle Club / BTC Organizers / BTC Social Events / BTC World of Women / BTC WOW / The Mighty Century!!! So here we are 100th event of BTC. Thanks to the BTCians who trusted us and motivated us to do more and more events. We wouldn't have reached to this milestone without your support. You guys always inspired us to do something different and thanks for all your feed-backs which helped us to grow exponentially. Some awesome moments shared together. 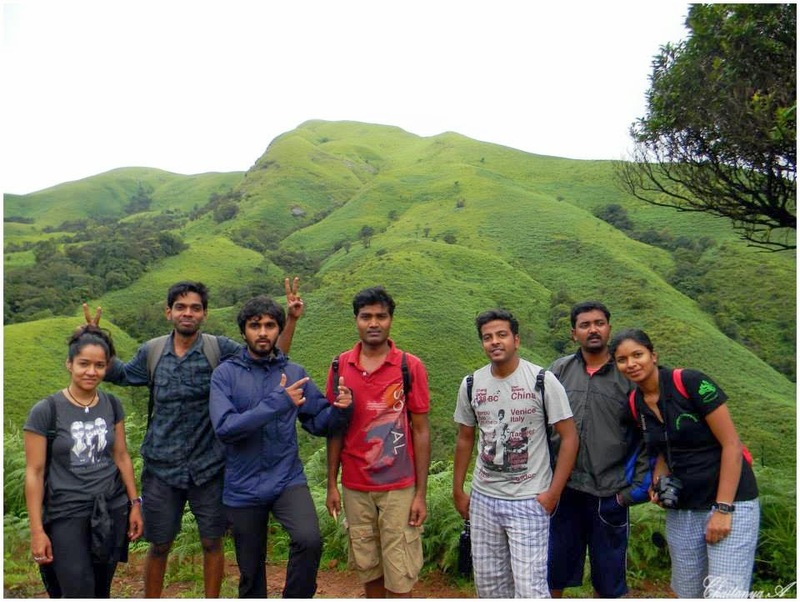 Journey with Bangalore Trekking Club: My Journey with Virander Sirohi (Founder) started on 4th Jan 2013 as Co-founder. Our main idea is to enjoy in the nature & by treating everyone equal. Lot of things, discussions, calls, hard work put in place for making this group LIVE. Started with Antargange Trek and going on. Being a Participant, I enjoyed the events by involving myself in the nature. More than being a participant, Organizer role is Best for me which I have been doing more. As Organizer, you will be more mature, active, attentive, responsible & better person in handling lot of things in the event. BTC helped me a lot in grooming myself – Being Open, Mingling with people, Being Jovial from a serious person, learnt from mistakes & being better organizer in handling the group. I am PROUD to say that, I am BTCian along with others. Thanks to all BTCians for your support & feedbacks from starting this improved our BTC as group to this level. 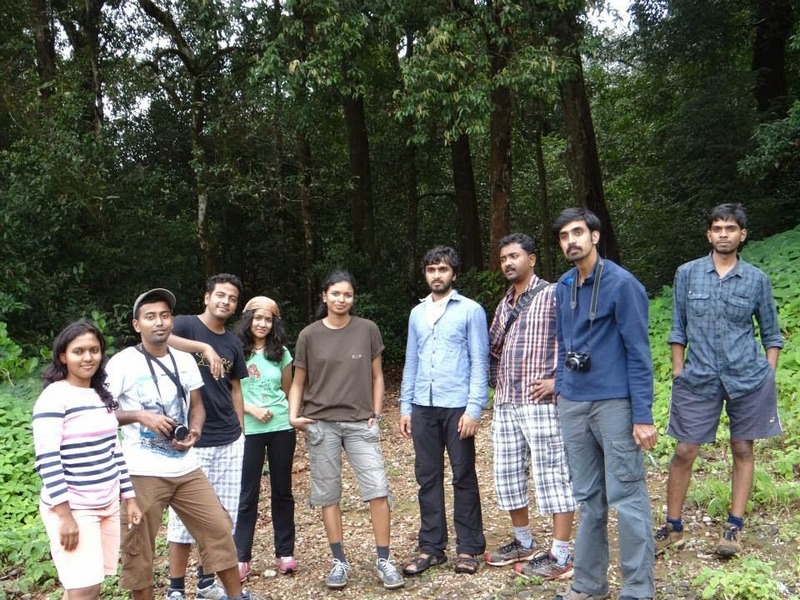 We (BTC Organizing Team) would do our best to make Bangalore Trekking Club a better group with lot of new ideas. Congrats to all BTCians for 100 events of our family. Each & Every Organizer is behind our 100 Events Milestone. My Heartful THANKS to all our beloved Organizers for this success. This is just a START for us & lot more to achieve. Let’s Rock On!! It all started at my first trek at Makalidurga, where I first heard his name from a fellow BTC member, "That guy is awesome! He owns a Harley Davidson and he's so crazy about biking" My first thought was, some biker guy huh? Interesting! So when am I gonna meet this guy? I ask him casually, so doesn't he organise Treks? ( Hoping I can join to know more about BTC founder) And he replies, "yeah he does but off late he's into biking and less of Treks". My bubble just burst out hearing that. So I doubted if I ever get to meet him! And I continue asking him when is he organising the next trek, I was even more disappointed to hear that he's gone to US/UK. I was like what?? Oh man! this is frustrating!! The guy with such tremendous ability to come up with an idea of a trekking club is super cool and running this with another awesome guy Chaitanya! So the next few days of mine after the Makalidurga trek went on googling about Viru & Chaits, how did they begin BTC. That didn't help much to curb my curiosity about BTC founders. Soon Sangamesh opened registrations for Siddarbetta, with yes no yes no, I registered. The shortlist wasn't interesting either, coz I don't see names of either Viru or Chaits. God when am I meeting these chaps, the founders of BTC :( That was THE day for me! Am walking towards Shantala Silk house with Abhishek and there I see Viru and Chaits leaning over the tempo and waiting for the members to arrive. Am I seeing what am seeing? Viru and Chaits?? Somebody pinch me and wake me up from my dreams. This isn't real! Well I was that absorbed and almost tripped and making me more clumsier infront if them. I tried smiling at them and waving a hi but I couldn't. All I could blabber was, ask them if the t shirts that they wore was just for organizers or is there any way that I could get it! By now I just felt that I made a fool out of myself and I just walked into the TT. I took some breaths to relax and well my first encounter with BTC founders, whom I fanned unknowingly even before I actually met them was over! Call it luck or destiny which transformed my entire course of life. From then it was just trekking and trekking every week with BTC! And yes I finally could get on to the BTC page as one of the organizer! I cannot end without mentioning these guys who have helped me through out. Sangamesh & Anthony: Supporting my blogs, no matter how crappy I wrote! How can I miss mentioning the wonderful members of this BTC family for their constant support. Well BTC.. by hearing this name itself some hidden power makes me so alert and energetic.. There was a mail from Megharaj describing about BTC. He clearly mentioned how BTC is and how they operate as a non-profit group... After knowing a bit about BTC, i felt there is something in it..!!! Then without wasting my time i checked the Bangalore trekking club's website and registered to get membership ID..
After few days i got a mail about night trek to Kaurava Kunda.. Am a person who is interested in activities like trekking.. many times I planned with my close buddies, few were successful and rest were not successful because of last moment mood changes by friends and all that. 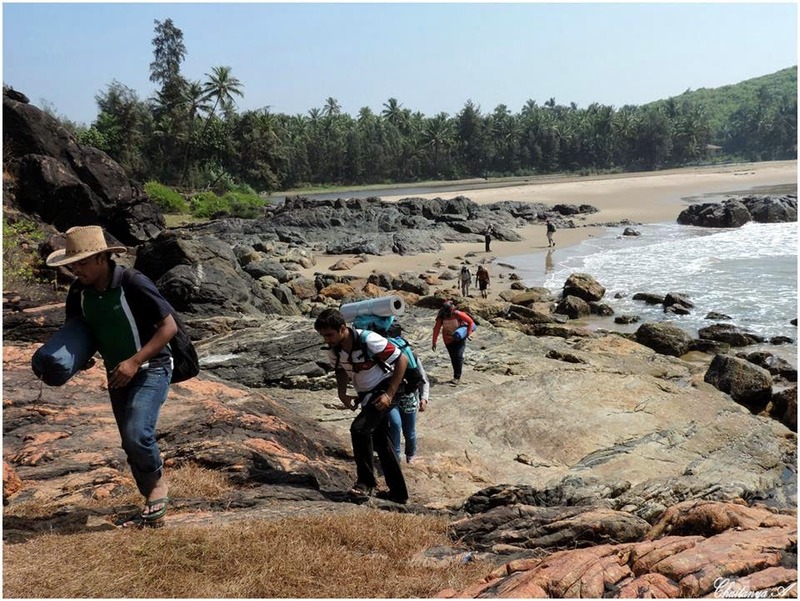 Going with unknown people.. Let me try once.. the trekking enthusiasm in me made me to register for the trek. That was my first trek with BTC.. trek went smooth and after coming back to my room, I sat on a chair and started thinking did i go with unknown people?? There was no room for unknown people because all had become close buddies in an hour or so. The most important thing which i liked about BTC is these people never gave attitude or boss over being an organizer. There started my journey with BTC. I have done many treks with BTC prior to joining as organizer. Then joined organizing team. And i never felt that we are organizers or I am senior as an organizer and others are junior kind of things with BTC organizing team and BTCians. I am proud to be part of BTC. Many thanks to the founder and my co-organizers(my best buddies/chaddi dosts) and BTCians for making BTC as a Rocking team in Namma Bengaluru. A happy 100th trekking to BTCians. Well what i should say about BTC, It gave me an opportunity to explore as many place as i can in 2013. As a participant i must say BTC is a very friendly and fun filled group. Not even in a single event i felt that i am trekking with a bunch of strangers all the people whom i have met till date were awesome and friendly. Personally I feel the journey all along was really awesome made a lot of new friends, learnt a lot of thing. Being an organizer helped me to be more social which I felt I really lacked. Thanks to BTC especially Virander and Chaitanya for providing a platform where events can be organized. Thanks to all the organizers for keeping up the group spirit. And Special thanks to all BTC Member for keeping trust in us and supporting us for making this journey successful. Well, it all began in Jan, 2013. When Virander (The Rockstar) and I had a talk about his Views on starting BTC. He also added about Chaitanya – An Young, Enthusiastic, Active and Nature Lover . They Both Decided to Serve the People in the form of Organising Very good Events at a Reasonable Price :). I Appreciated their thoughts/Concerns. I was totally thrilled and wanted to join them in this work. With my Busy Schedule I could not enjoy my first year in Bangalore much. But Viru gave me a Chance :) Thanks Viru..!!! Our First Event was on 12th Jan, 2013 (Night Trek to Antargange). As per the Plan every one arrived on time and I was waiting to meet Chaitanya :) and finally we had an intro Session to know each other. Another Interesting person whom I met that day was Ajitha – Very Active, Sportive and Sabki Pyari …!!! She made us to laugh by Speaking “thuti phuti ” Regional language. The best Part of the Trip was the Healthy fight between Ajitha and Dinesh. Dinesh is another guy whom I met for the first time. A very energetic guy:). I met Anthony & Prabhakar who were new to me. We Celebrated the First Event By Cutting the Cake and Sharing the Jokes :) And Some Healthy Discussion’s/Plan’s on how to Proceed with. Every one Gave there suggestion’s which were very wise :) Those Suggestions are the one which are Recorded in the Rules and Policies of BTC. I suggest Every Person who is new to BTC should read them before Going on his First Event. We also organised the Plantation Programs. Which indeed were the favourites of many. Eventually many others joined the organising Team as Organiser’s and Number of Events per week started increasing. Now, BTC as a Family has grown to such an extent that we don’t see a U-turn from Exploring the Beauty of the Nature. And Friend’s I have taken Break for some time and will be back with a Boom till then I am Sure that My Friends, My beloved Organisers of BTC will take care of the Our Bangalore Trekking Club :) Kudos to Every one… !!! I have no words to describe my feelings. Thanks Chaitanya, Ajita, Deepthy, Sangmesh, Abhishek, Sushma, Meghraj, Ruwise, Kiruba & Anthony in believing in me. Thanks to BTCians who never let us down. I got many new friends some best friends. Thanks to BTC.